Welcome to LIC PCMC - LIC Agent In Pimpri Chinchwad,Pune. LIC PCMC has professionally qualified and authorized agent of Lic of India in Pimpri Chinchwad,Pune.India's most trusted life insurance provider. We offer all types of LIC Insurance plans to our clients in Pimpri Chinchwad including Term Insurance, Child Education plans, Money Back Plans, Pension Plans, Whole Life plans, and Duaghter's Marriage plans. Contact us for Best Financial Planning, Insurance Planning, Investment Planning, Tax Saving Planning in Pimpri Chinchwad,Pune. We are committed to providing you with the best LIC's life insurance programs to serve your needs for personal insurance, risk management, and employee benefits. Let us serve your Life insurance needs! Contact us now to determine your insurance needs and to let you know the premium for your coverage's. 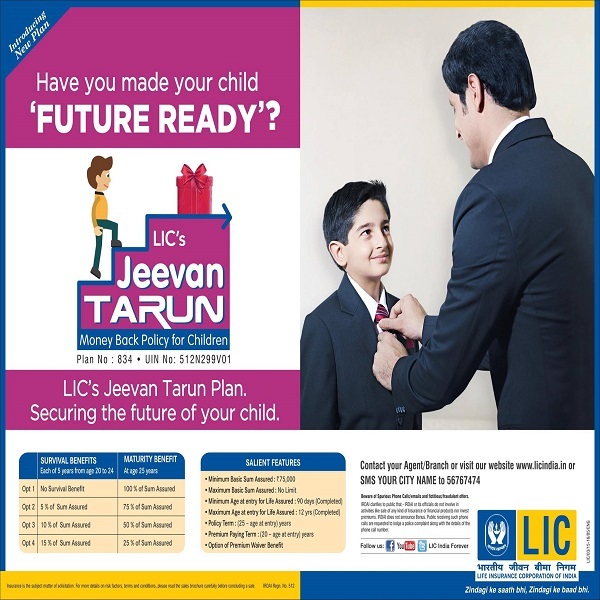 LIC's JEEVAN TARUN offers an attractive combination of protection and saving features for children. This plan is specially designed to meet the educational and other needs of growing children through annual Survival Benefit payments from ages 20 to 24 years and Maturity Benefit at the age of 25 years. 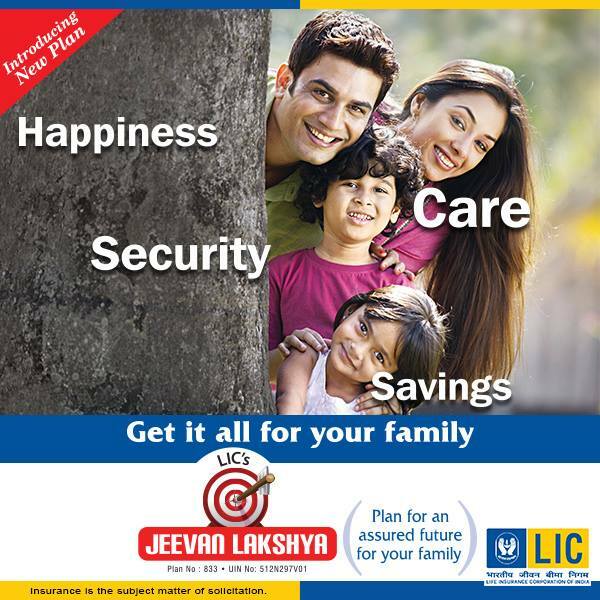 LIC's Jeevan Lakshya plan provides Annual Income benefit that may help to fulfill the needs of the family, primarily for the benefit of children, in case of unfortunate death of Policyholder any time before maturity and a lump sum amount at the time of maturity irrespective of survival of the Policyholder. 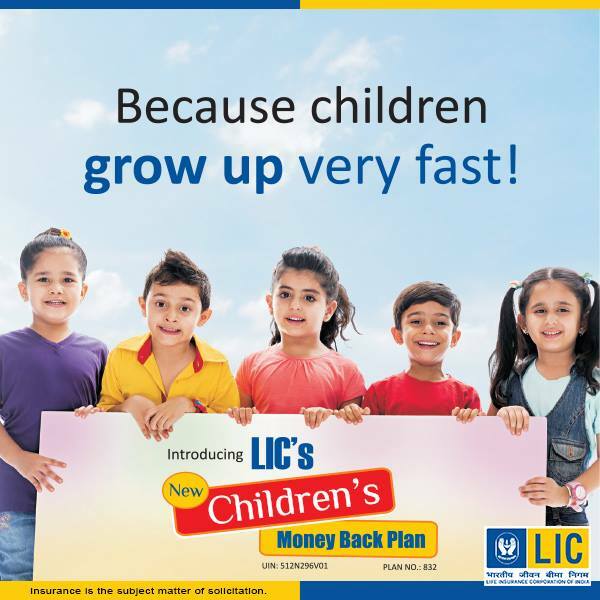 LIC's New Children’s Money Back Plan is specially designed to meet the educational, marriage needs of growing children through Survival Benefits.It provides for the risk cover on the life of child during the policy term and for number of survival benefits on surviving to the end of the specified durations.